A vivid human drama of guilt and betrayal, A Map of the World chronicles the intricate geographies of the human heart and all its mysterious, uncharted terrain. The result is a piercing drama about family bonds and a disappearing rural American life. Jane Hamilton lives, works, and writes in an orchard farmhouse in Wisconsin. Her short stories have appeared in Harper's Magazine, and her first book, The Book of Ruth, was awarded the 1989 PENHemingway Foundation Award for best first novel. Seven years after its publication, The Book of Ruth was chosen for the Oprah Book Club, giving it a second life. 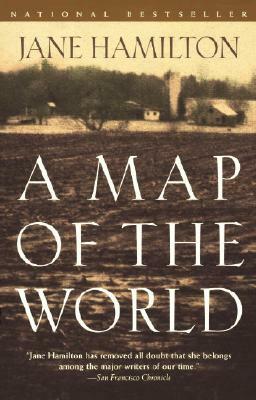 In 1994 Hamilton published A Map of the World which became an international best seller, and in 1998, The Short History of a Prince, which won the Heartland Prize for Fiction, and was shortlisted for Britain's Orange Prize.